Does Your MAC Need an Antivirus? Should I be using Antivirus on my Mac? There is a good reason for people to be confused about this as well. Even Apple can’t seem to fully make up their mind about the issue. There was a time that I could point to an article written by Apple and available on their website that clearly stated that they recommend using an Antivirus product. But that article has beenwas taken down. Macworld.com has published that they reached out to Apple about the article being taken down and were told that the article was simply outdated. Since that time Apple has said that running Antivirus on your mac is a good idea. They certainly don’t market that fact though. And why would they? The high security of MacOS has been a selling feature for years. Microsoft doesn’t exactly go around advertising that you should run antivirus on Windows 10 either, so let’s move on from marketing talk and look at the real world. Simply put, the world of cybersecurity is evolving quickly. Gone are the days where viruses were written almost exclusively for Windows-based PCs. Gone are the days when viruses were written more for fun and the challenge than for profit and exploits. And gone are the days when viruses are the only thing to worry about. With Cyber Criminals using trickier tactics, including ones that work no matter what operating system is being used, a good security software is more important than ever! MacOS specific strains of Ransomware and Trojans have become more common. With this rise in Mac Malware, Y-Not Tech Services recommends all MacOS users have a solid Anti-Malware software. Why Isn’t Security Software for Macs Recommended More? Before getting to a recommendation for what software to use, let’s explore just where the myth that Macs don’t need Antivirus came from. It’s true that MacOS has good built-in security and in the past, that was enough to keep its users safe, but the real reason Apple computers were mostly free from malware for so long was that it wasn’t worth it for the cybercriminals making the viruses. MacOS had such a small market share overall that it didn’t make sense to develop malware for a Mac when you could more easily hit Windows PCs and potentially reach 95% of all computers online. As MacOS has gained more market share, it has become a much more juicy target to hit. This is why we are seeing more and more viruses for Macs and why it’s important to have a good Anti-malware program running on your Mac today. Which Antivirus Program Should You Use? There are a lot of programs on the market. We’re only going to recommend one of them, but that doesn’t mean the rest are all useless. If you choose to use a different one, just make sure to do some research. There is a lot of Malware out there that masquerades as Antivirus Software. Additionally, some free antivirus programs will actually gather and sell your personal information!!! Whichever Security program you choose, make sure it’s updated and scanning regularly. Magtech IT is confident in recommending Malwarebytes for Mac Premium. We’ve partnered with Malwarebytes so that we can sell and install Malwarebytes for Mac as an authorized partner. Contact Us to set up an appointment to get your Mac secured. Thanks to our friends at for these valuable insights. At Magtech IT we specialize in the Synology range of Network Attached Storage (NAS). Need storage, call us. 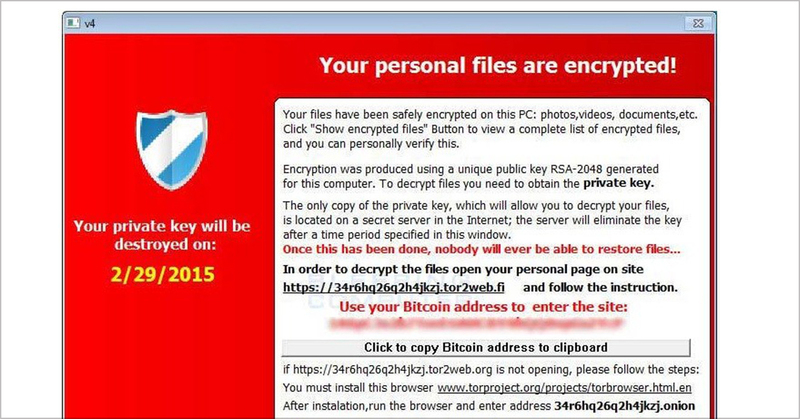 Ransomware Viruses are Viruses that completely encrypt or lock all the files on your Business computer in seconds, accounts, documents, pictures, outlook email attachments, client contact lists, Excel Spreadsheets, bookkeeping and payroll software databases. 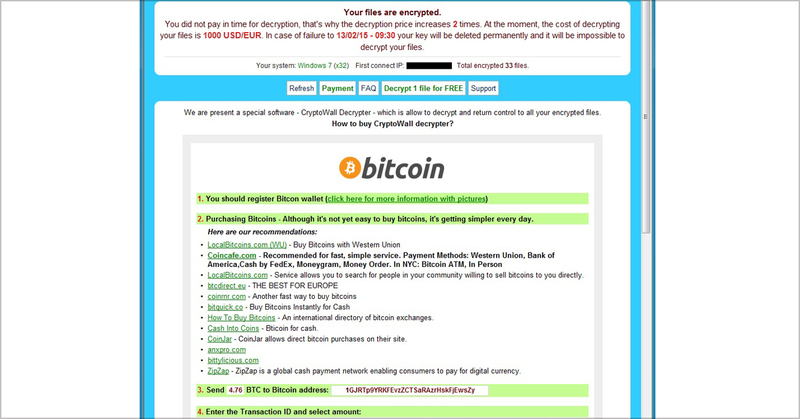 Hackers that gain access to your company network can install Ransomware on the network server or individual PC’s and spread via network shares between computers. We frequently come across cases of complete negligence during our audit process of Businesses that have a DIY attitude to IT Security where the company “IT expert” or staff member have exaggerated there ability and is the designated in-house IT “Expert” that in most cases have zero experience or any qualifications in Network or Computer Security but are known to be “Good with computers” within the company. Some of the recent Ransomware and Business computer hacking cases have included direct targeting of professional Businesses such as Law firms, Accountants, Estate Agency’s, Financial Advisor’s and Architectural firms and other similar professional organisations. Many Businesses have out-dated non operational Backup systems that appear to be functioning but are not being regularly verified by a professional. One of the Hackers favorite tricks once a company network is breached is to actually disable firewalls and covertly delete ALL Backup’s on the company’s Backup systems over a period of weeks or months before finally launching a full scale attack and Ransonware installation to force the company to pay the Ransom which can range from $1000-$100,000 depending on the amount of bitcoin requested and the current Bitcoin price which has increased from $1000 per Bitcoin a few years ago to the current price of around $19,734 per Bitcoin. Frequently many Businesses pay the Ransom and hope that the criminal’s will take the time to restore all the Data back on to the company computers over a period of weeks or months which is highly unlikely. There is a stigma attached with admitting that a company did not have proper security systems in place to protect their own Data and their client’s Data so they pay up and don’t ever talk about it for fear of loss of faith, damage to the company’s reputation and a sense of embarrassment within the local Business community. New Australian laws now state that companies have to report security breaches and a ransomware breach qualifies for that reporting to ASIC etc. Check your security, check your backups regularly (do a test restore with your IT people and ask them to prove the restore), change your and your employees mindset and be aware at all times. Few things are more annoying than a hard break while Netflix buffers and loads during your latest binge. If you’ve suffered through slow loading, playback pauses and low resolution while streaming Netflix, Amazon Video, Hulu or whatever, it’s not necessarily their fault. It could be your internet connection. Fortunately, there are some steps you can take to improve the connection on your TV, streaming device or game console. The faster the Internet, the better your streaming quality (for the most part). This is certainly the most obvious, but really, when was the last time you asked your provider about how fast their offerings are now? If it’s been a few years, they likely have new services (maybe even fiber) that could greatly increase your download speeds. You need at least 15Mbps for 4K streaming, but really, you want a lot more than that. It’s also possible there are new providers or services from other companies. When I moved into my house, the phone company had the best option, a pretty fast DSL line that was way better than the local cable provider. Now, said cable company has 6x the speed at 60 percent of the price. I was able to save money and increase my internet speed quite dramatically. This is definitely the first place to start. The Wi-Fi router that you get for free from your Internet provider is likely terrible. I upgraded my router the day before my new internet service was installed, and I got a 20 percent boost in speeds just from that. Some providers even charge for their crappy routers, so you could save some money long-term by buying a good one outright and reducing your bill a bit each month. You’ll also likely get better range and better signal throughout your home with an upgraded router. So if you’ve always had a bad connection in the back of the house (or wherever), a better router might help that. A new or different router might also give you the option to connect via the 5GHz range (“normal” Wi-Fi is 2.4). 5GHz is generally faster and has less chance of interference from other devices. However, it doesn’t go through walls as well. Though convenient, Wi-Fi can be quite slow. Ethernet (i.e. wired) is a lot faster and doesn’t have issues with walls, interference or distance (well, not in a house anyway). Though running wires can be annoying, it provides the most reliable connection. If you want to use a wire, check your device. Most inexpensive streamers like the Roku Streaming Stick and Google Chromecast lack the Ethernet port required for a wired connection, although Google sells a $15 adapter to add Ethernet to Chromecast. Our favorite streamers with Ethernet built in include Roku Premiere+, Apple TV, Nvidia Shield and Amazon Fire TV. Most Smart TVs (with the notable exception of non-4K Roku TVs) and game consoles have Ethernet, too. I don’t mean your TV, but moving your Wi-Fi router could help a lot. If it’s on or near the ground, in a closet, or at the far end of your house, you could be limiting the signal and speed without even realizing it. Wi-Fi can go through walls, but being high up and with fewer walls between the router and streamer will help. If the router has antennas, positioning them correctly can also help. The same is true on the other end. If you’ve got the streamer in a cabinet, that’s not helping either. In a perfect world, the streamer would have a direct line of sight with the router. This isn’t necessary, of course, but everything you place between the two of them decreases the signal and potentially lowers the speed. An alternate version of this would be to get a Wi-Fi booster, or run Ethernet to a second Wi-Fi router. If your house is long or large, there are lots of options beyond the scope of this guide. Think of your internet connection as a pipe full of water. There’s only so much water to go around. If you’re trying to stream in the living room, but the rest of the family is also trying to stream in other rooms, there might not be enough “water” to go around. Everyone will have issues. Who gets priority in that case, I’ll leave up to you. No way I’m touching that one. An internet speed tester like Speedtest can give you an idea what you’re dealing with now. If you use the Android or iOS version, make sure you place the phone/tablet near the streaming device to get the most accurate result. With each change you make, test again and see how it affected the signal. Many streaming problems can be solved with these steps I’ve described. The key is getting the device the fastest internet possible, by any means necessary. Or you could call your friendly computer tech to setup a system that suits your needs properly and with less hassle!! With so many services these days wanting to help you store your files online, they might all seem like the same thing. Are “online storage” services like Google Drive and Dropbox the same as “online backup” services like Backblaze? Or, as more than one person has asked me, can’t you just store your files on Dropbox and call it a day? The short answer is there are significant and important differences between these types of online services, and they don’t really replace each other. Here’s what you need to know. Google Drive does mention file backup–“Get access to files anywhere through secure cloud storage and file backup for your photos, videos, files and more with Google Drive”–but the Google Drive home page highlights only these three main features: Store files, access them from other devices, and quickly share them with others. By contrast, this is Backblaze’s description: “Award winning unlimited online backup. Backblaze automatically backs up your data to the cloud.” And the Backblaze home page mentions these features: security, unlimited data backups, automation, and restoring data. Other online backup services are similar, emphasizing security and protecting your files, rather than sharing or file syncing. Some backup services also let you remotely access your files and share them from multiple devices, but that’s not the main focus. While Dropbox and other online storage services’ purpose is to make sure you can access individual files from multiple devices, online backup services are designed for full protection against data loss and (most importantly) recovering all of your files in case your computer is lost, stolen, or otherwise compromised. These might seem like small points, but they drive the main features of these services, and generally explain that they’re really two different tools for two different kinds of jobs. (Much like even though you can use both a wrench and a hammer to drive a nail into the wall, they’re not equally designed to do the same thing.) They’re also the reason why using online storage isn’t the same as having true backups. For the majority of online storage services like Dropbox and Drive, you can only store a certain amount of data on their servers. Even if you pay $10 a month for 1TB of space, it might not be possible to store (or back up) everything you should save–including huge video and photo files and archived files of your work. Some storage services also limit the size of the files you can upload and the amount of data you can transfer to their services at a given time, making it more of a hassle to quickly protect all of your files. Another issue with using online storage as your main backup tool: If you start to run out of space on your computer (as happens all too often with the current trend of ever-shrinking hard drives on laptops). In this case you might have to move some files to an external drive, but then those files aren’t synced or copied to Dropbox or other online storage providers (and thus they’re not backed up). By contrast, a few online backup services let you save an unlimited amount of data and have no file size limits. They’re optimized for efficiently transferring huge amounts of data between your computer and the backup servers. You don’t have to worry about how much space you’re taking up or clear out files from your queue because everything gets backed up automatically and efficiently, including files on external drives. Dropbox and Drive are very easy to use, but you still have to manually save your files to one designated folder on your computer to get them stored on these services. For each file, it’s a decision to save them there or somewhere else. Many programs create a unique folder where they save your user data; those won’t be saved to the online storage space unless you change the save location to the syncing folder (and not all programs will let you do this). Online backup, on the other hand, is a set and forget situation. Once you’ve picked the files and folders to be backed up, you don’t have to do anything else. Every important file gets saved (perhaps even ones you didn’t think to create a copy of, such as files saved on your desktop), automatically and continuously backed up online. In Backblaze’s case, you don’t even have to select the files and folders to back up (but you can adjust the file types to save and such); the software does it for you. Most of us don’t want to even think about backups. This is as easy as it gets. With all the NSA and other spying scandals brought to light recently, we all should pay close attention to our security and privacy. When you want to back up sensitive files like bank statements, tax returns, or contracts–or just don’t want someone peeking at your photos–encryption is critical. Online storage services, because they’re designed for quick access and sharing, aren’t as secure as backup services, for whom safeguarding our data is their bread and butter. Files stored on Dropbox and Google Drive are encrypted on their servers, but they’re not locally encrypted on your computer before being synced to the cloud. That means if a government agency or hacker gets access to your account (and, as you’ve probably heard, there have been security leaks and vulnerabilities before), your files will be readable to them unless you’ve manually encrypted these files yourself using third-party software before storing them online. If you’re using online storage services solely to have a copy of your files online (e.g., you only have one computer and don’t need the syncing features), the cost of that backup, on a per Gigabyte basis, is much higher than the cost of unlimited backup services. Online storage services do give you an amount of free storage (between 2GB on Dropbox to 15GB on Google Drive or OneDrive), but you’ll need to pay for more space. By comparison, Backblaze is $5 a month for unlimited backup space compared to $10 a month on Google Drive and Dropbox for 1TB of storage space. Just as online storage services aren’t the same as online backup services, the reverse is true too. 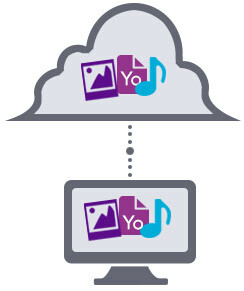 Online backup services aren’t suitable for instantly accessing files on various devices and they’re not collaboration tools (although, as mentioned above, you can remotely access and share individual files when you need to). Online storage services like Dropbox and Google Drive do, however, make it dead simple to keep your files updated across all your devices, and if you need to give others instant access to them you can just save the files to the shared folder or send them a link. These apps also readily connect to third-party apps, so you can do things like seamlessly share photos stored on Dropbox to Facebook. Some online storage services, such as Box.com, deserve a nod for their built-in collaborative, business-friendly features, including user access control and advanced commenting tools for multiple users. In a nutshell: Online storage services are great for providing a centralized place for accessing and sharing your most needed files–for example, if you have a desktop at work and a laptop at home, plus a tablet and smartphone you want to keep in sync. They’re like your file server in the sky. Online backup services are the easiest and most secure way to save all of your important files from tragedy (they can also back up your online storage folder). They’re like having an IT person come around regularly (but invisibly) to back up your computer and archive your files off-site, and, if needed, save your bacon if and when your computer crashes or someone accidentally deleted a folder. As someone who is responsible for structuring the backup and file system for many small (and some large) businesses, and having a firm belief that backup should not only be for business but for all home users as well, I really believe both are incredibly useful and necessary tools. And while they have different purposes, they play well together. Thanks to our partners at Backblaze for this great blog post. 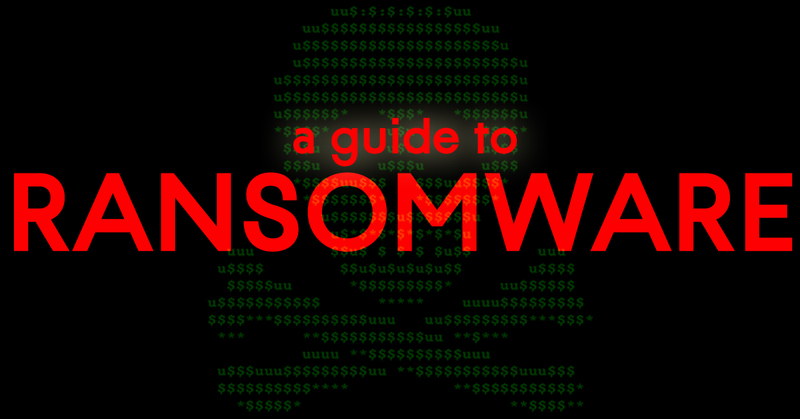 If you don’t know what ransomware is, read on. You’re in danger of losing all of the files on your computer. and then demands online payment for their release. actual blackmail. The threat is very real. you are always a click or two away from a ransomware infiltration. Don’t be a victim. Outsmart cyber-criminals with a few simple steps. It’s easy, but only if you know what to look for. someone you know or should trust. which then downloads malware like ransomware to your system. like it comes from your alumni association. Image 1. 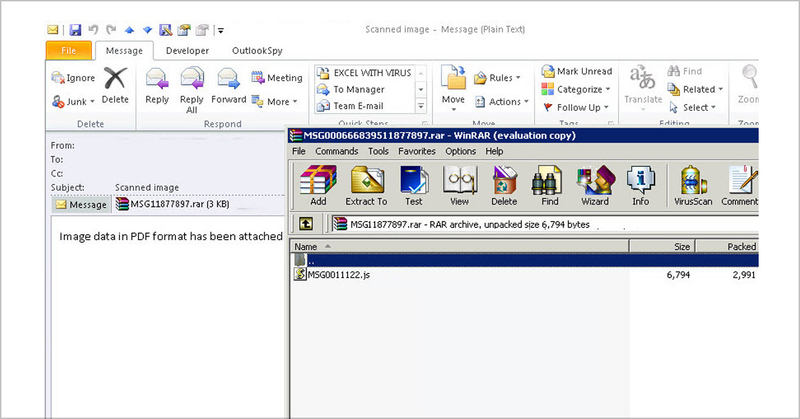 Ransomware email caught by Gmail spam filter. Image 2. 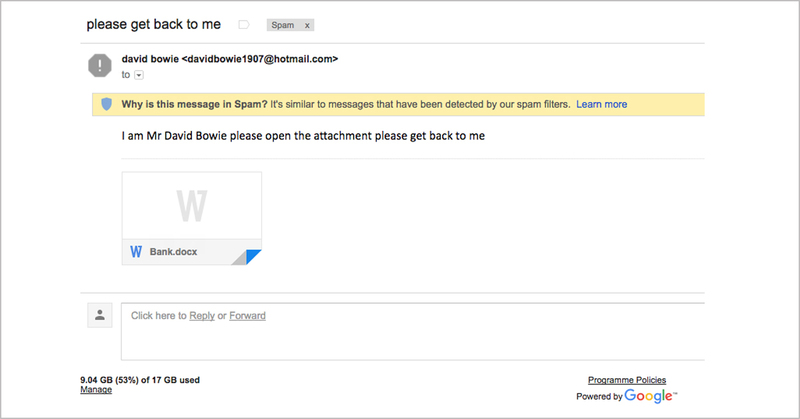 Another ransomware email caught by Gmail spam filter. installing ransomware on your system. already be inside your default Downloads folder. Extreme caution is required when browsing those files. their malicious wares includes the use of social network and instant messaging apps. graphics attachment with the commonly-used .SVG file name extension. and so execute automatically when viewed in a standard web browser. user to install a browser extension so that they can view a (fake) YouTube video. Installing this extension opens the door for a ransomware infection. in response to social media posts and instant messages. Image 4. 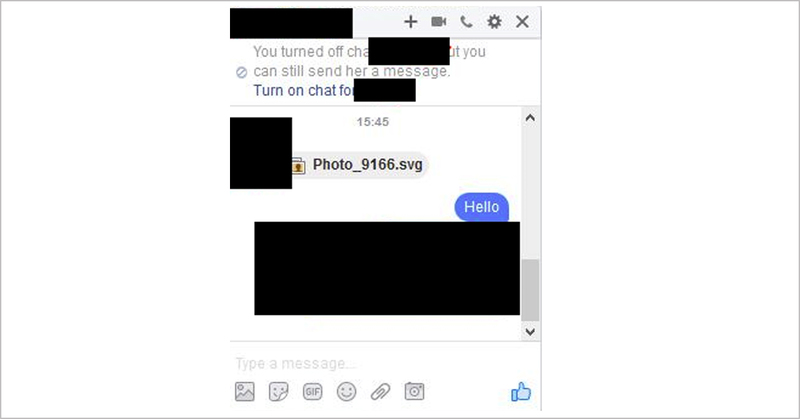 Ransomware-infected .svg file sent through a social network messenger. 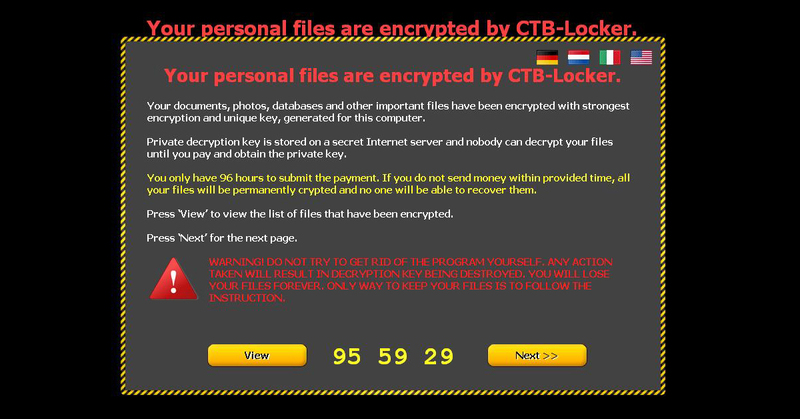 faulty code and insert ransomware distribution scripts into the web pages. until the code is cleaned and the warning message goes away. Image 5. A warning message preventing users from visiting an infected website. 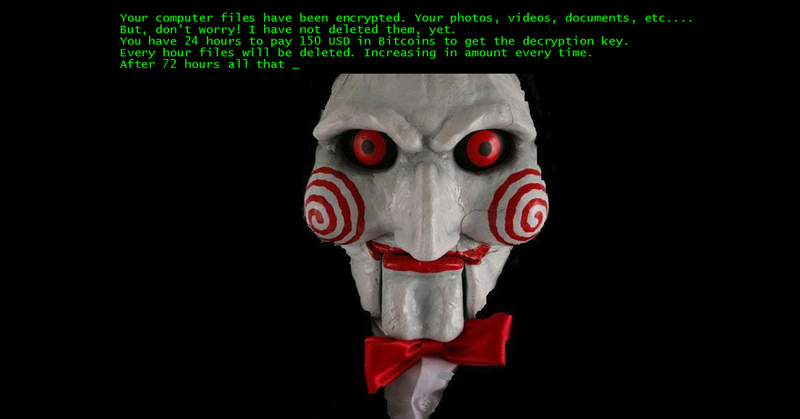 Ransomware is a well-developed one-billion-dollar criminal industry. Ransomware file is downloaded to a user computer. e.g., opening an attachment or double-clicking a link as described above. (this can be either immediate, or delayed). ransom message with a countdown timer and instructions how to pay. anonymous payment using the online crypto-currency Bitcoin. same network as the infected device, including local backup servers. 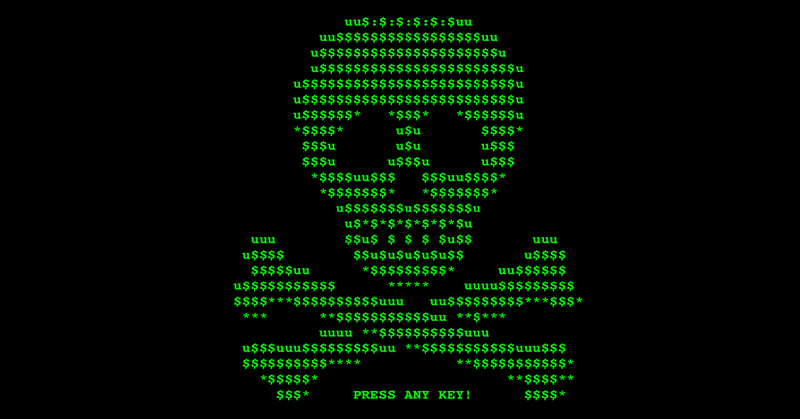 the name has become synonymous with the entire concept of ransomware. such as Cryptobit, CryptoDefense, CryptoWall 2.0 and CryptoWall 3.0.
ransomware and starts the encryption process. Master File Table of the hard drive. hour until the ransom is paid. Pay the ransom and hope that your data will be restored. There are no guarantees that paying up will restore your files. 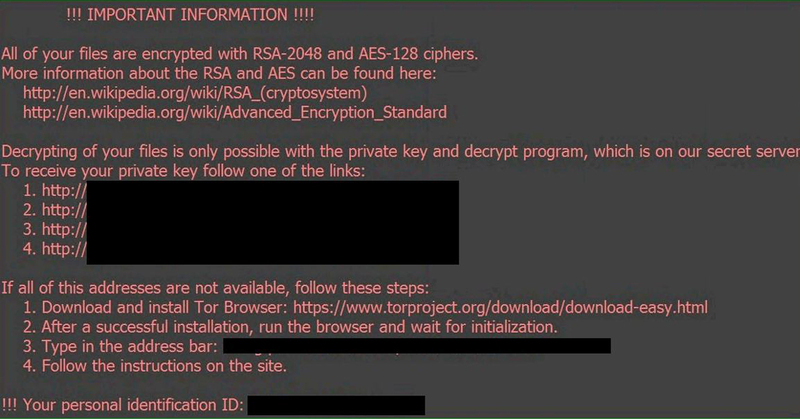 Some ransomware gangs don’t deliver the promised decryption key. before they deliver on their end of the ransom bargain. Restore your system from a backup. your data after a ransomware attack without paying the ransom. Run full image backup to an external disk or to Magtech Cloud storage. at once, without going through files one by one. to the internet. Get educated, be vigilant, and spread the world with your friends and family. Don’t be fooled, and protect your data with backup. We are here to help and provide advice and the right solution to meet your needs and budget.